Got a holy grail in your Steelbook collection? Why not display your precious steelbook in the best way possible inside one of our beautiful Wooden 3D Collectors Frame! They are designed for the steelbooks to sit deep within the frame to maximise the 3D effect. 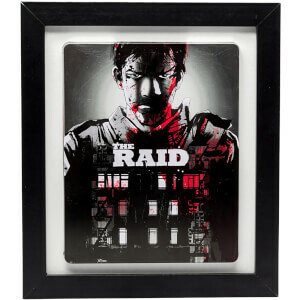 With a stylish Black inlay this is the perfect way to display your most prized Zavvi Exclusives.